These are pictures of my stairs after the balusters were installed. 8 hours after they were delivered the job was finished. Thanks for sending them so quickly. I am recomending you to my neighbors. I needed custom, long-length wood flooring in a very tight time-frame. I found Flooring.org on Google, and they not only met my needs for a delivery date, but they also had a better price than any other wood flooring dealer. Sure enough, the flooring arrived when promised, and it is absolutely beautiful. I couldn't have asked for a better experience, and I will certainly be using Flooring.org again in the future. Thank you very much for a perfect transaction! We received our order yesterday and just want to say the product is gorgeous. The packaging is real good and am very impressed with the care taken to ensure there is no damage during shipping. Hello again!!! The hardwood flooring is absolutely beautiful. We have several boxes left over and are wanting to go ahead and put it in our office now. Just let me know if there is a minimum order requirement and we'll figure up what we need exactly. I got home and there the order was... I was thinking man... that Eric is good! Thanks for offering great products at a great price and delivery by the most efficient company out there. Got the wood and installed. Customer is happy! Have a great holiday season. I had purchased BR-111 wood flooring in 2009 in 3/4 inch exotic Brazilian Cherry solid. I was trying to find a matching one on Google. 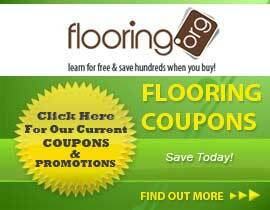 That is where I got in touch with Flooring.org. They were patient enough to explain that BR111 is now separated from IndusParquet. So he helped me order the right product and it got delivered in time as promised. The packaging was very good and the product matched the BR 111 product I had bought earlier. Here are some pictures of the product which was purchased and installed. Flooring.org could not have been easier or nicer to work with. They ship quickly, have excellent pricing and I will be using them again! My solid oak floors are beautiful and will last for many years to come!